Why are notebooks trending in the market nowadays? Because you can simply use it wherever you want. The battery will care about the power of your notebook. But you need to take attention at battery's power, more mAh's more battery life. By the way, there are some tips that you can keep them to extend the battery life. 1) Switch off the wireless card if you are not planning to use the internet. Just turn off wireless connection from internet settings of Control Panel. 2) Turn off Bluetooth, if you are not using this device, you can disable it to save battery. 3) Use Windows Power Manager. From Control Panel open Power Manager feature and configure some settings, such as power over performance, performance over power and balanced. There are ready settings to apply, or you just can customize by yourself. 4) Reduce the brightness of the display and you will save your battery. Most new laptops are equipped with LED backlighting. LED has the potential to produce a more even light throughout the screen while maintaining superior power efficiency compared to fluorescent lighting. 5) Run simple applications. Use a basic text editor rather than the Microsoft Word or notepad++. Applications like games or movie watching are using much RAM and hard on the battery. 6) Shut down your laptop or use Sleep Mode, if you are not planning to use it for a while. 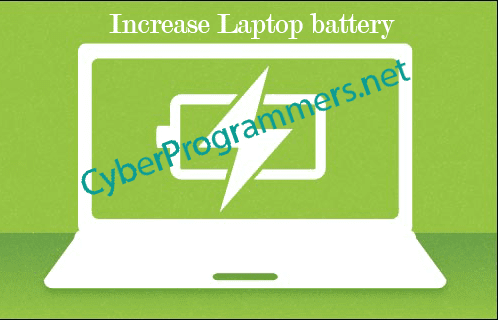 If your Laptop stays in Standby, it will continue to drain energy. 7) Disable Unused Devices and Ports. So if you do not plan to use a device such as USB, Ethernet, VGA etc. then just disable it to reduce battery draining. 8) Turn down the screen resolution of Laptop. 9) Mute the sound, or turn the volume level down if you are not planning to use it. 10) Use a cooling pad when using. But if it's a USB pad then don't use it as it will most likely use up more battery rather than to conserve it. 11) Do not drop your laptop on a pillow or other soft surface that can heat up. 12) Clean the battery's metal contacts with rubbing alcohol on a damp cloth. 13) Block Flash Ads and Close Unnecessary Processes to keep more battery.